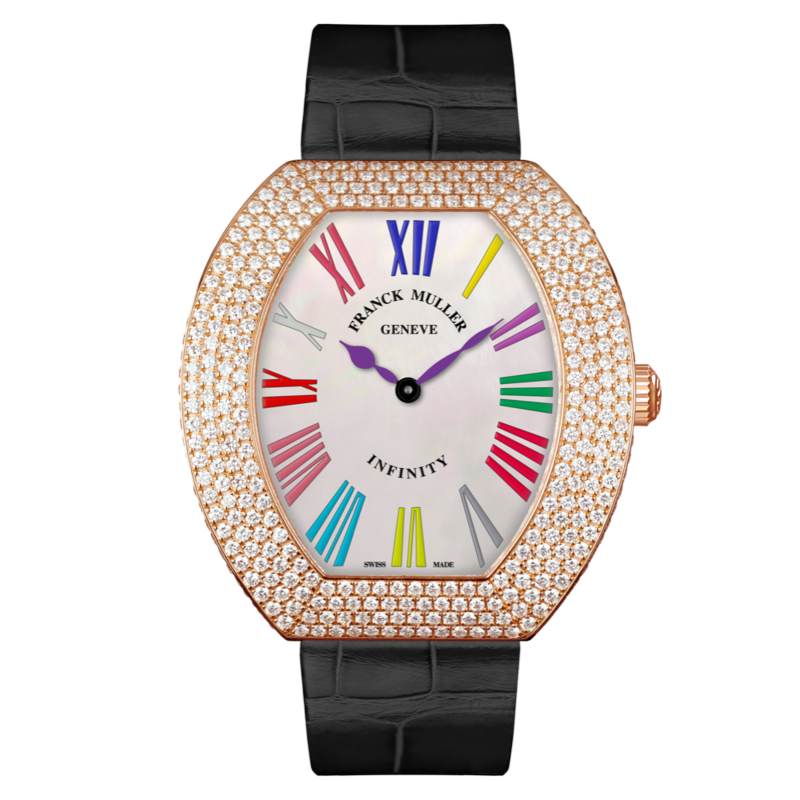 Time becomes woman and the House of Franck Muller pays homage to all women by creating Infinity, a completely new line characterized by harmonious volumes and a highly innovative design. Showcasing a spectacular work of diamond setting in its full pavé version, the Infinity line is gorgeous and breath-taking. Meticulously hand-crafted, the numerals can be chosen in black for elegant sobriety or in the Color Dreams for a most intense look. This fascinating and luxurious shape enable this unique watch to marry the wrist perfectly, like a precious diamond caress.